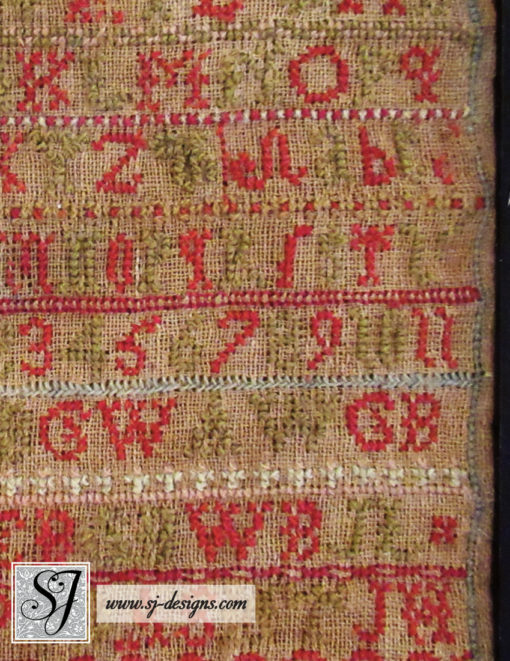 Charming Scottish sampler with the classic red-and-green color scheme features double alphabets, flowers and a colorful peacock. 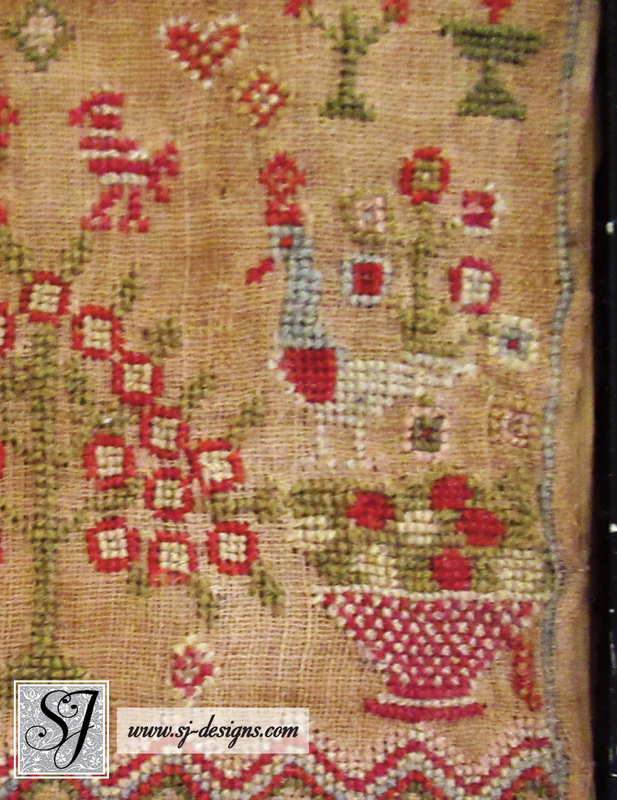 Very fine wool thread on linen ground; there is some stitch loss in the borders and particularly at the bottom. 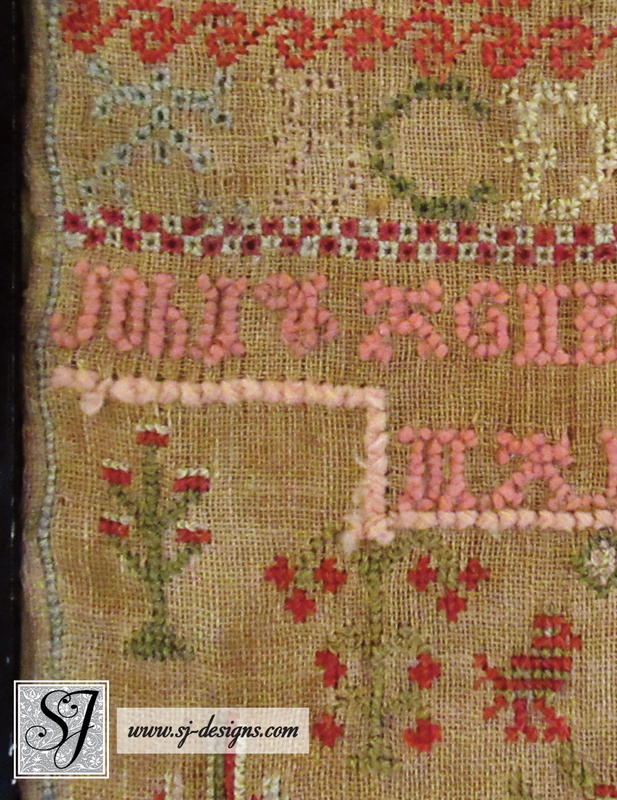 The date is in the lower right corner, and at first glance it looks like “17184” but a closer look reveals a “1” above the “4” and I suspect that the preceding word is the misspelled month April (Apral) so it reads “Agness Apral 17 1841”. 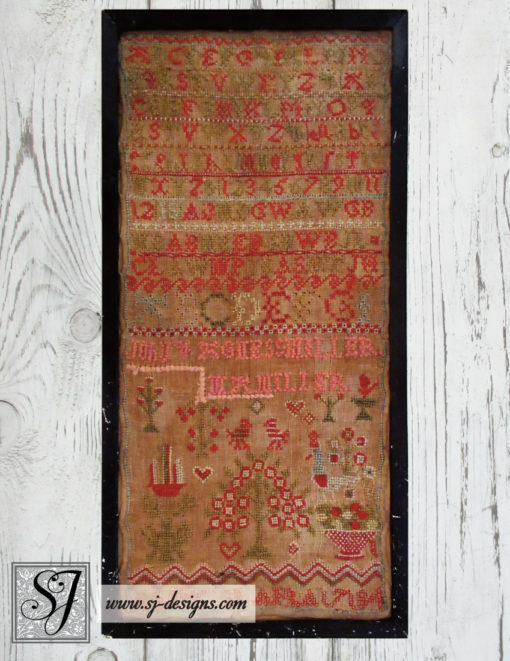 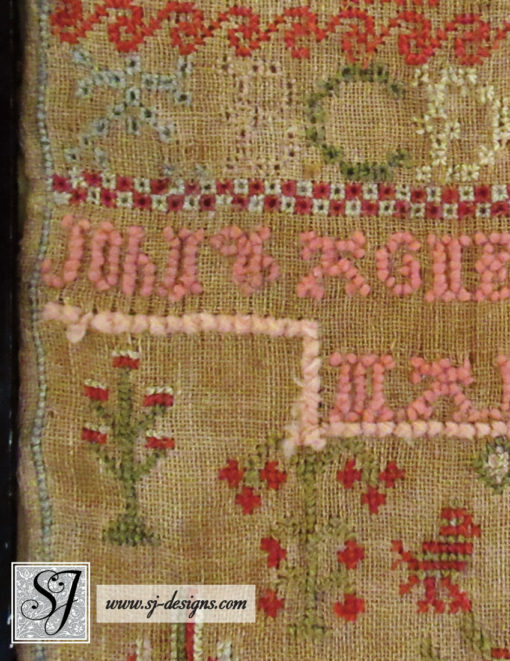 The pink lettering reads “John & Agness Miller M A Miller” (Scottish samplers typically include parents’ names or initials). 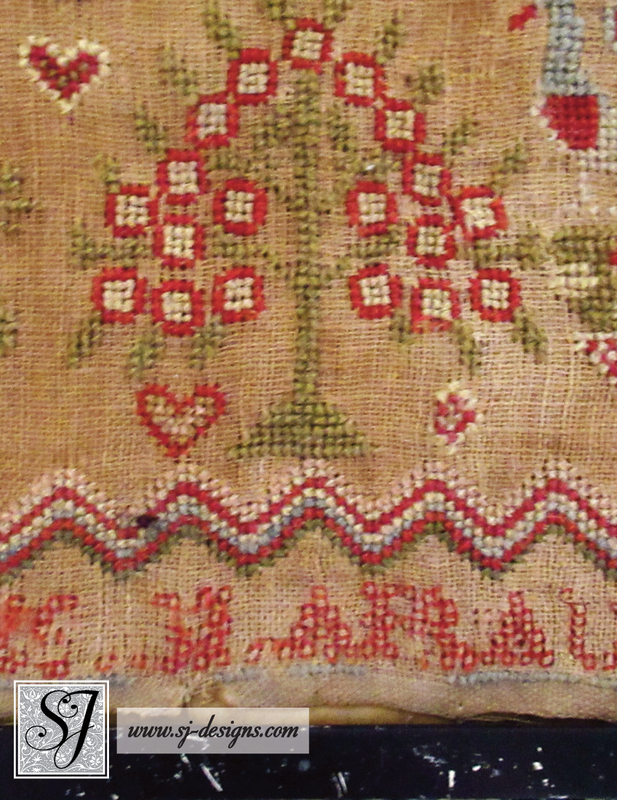 I suspect that the lighter pink line at the left was added later, perhaps by a younger stitcher since the cross stitches are uneven and worked over 4 threads instead of the 2 threads of the rest of the sampler. There are some condition issues– while the sampler is in generally good condition, the frame is not and should be replaced. 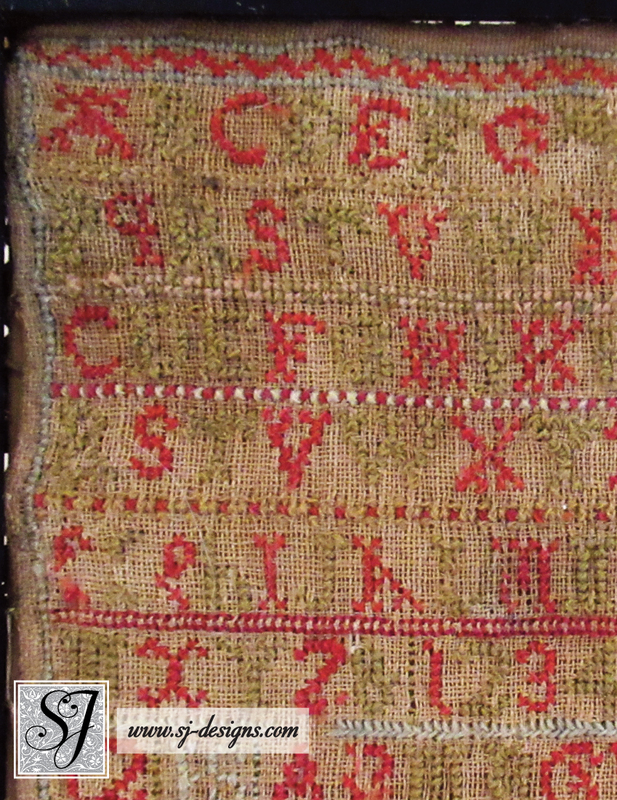 Fortunately the sampler is laced onto a piece of cardboard and proper remounting would be a simple matter. The edges are hemmed with one small tear at the bottom center, and a small 1/4″ tear underneath the “PQ” of the second row of alphabet letters. 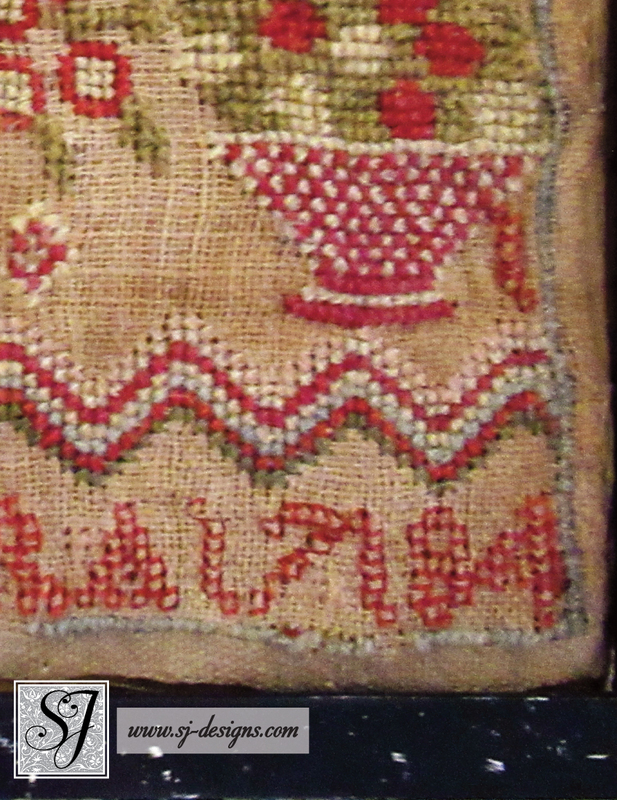 The backing cardboard is simply taped in place and should be replaced. No glass.